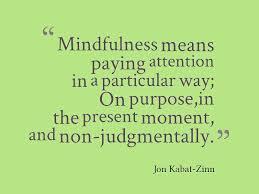 Mindfulness for kids and teenagers, in schools, has been in the new recently. Many schools have realised that in order to help our children grow, thrive and flourish we need to find new ways to help them cope with stress and anxieties. More and more teachers are training to help teach techniques of mindfulness for kids and teenagers, within schools. 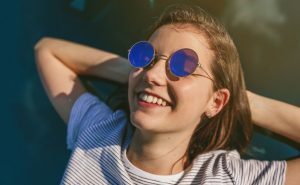 It’s thought mindfulness for kids and teenagers can help to help them with stress, improve concentration and even increase compassionate behaviour. The world kids & teenagers live in today is so high pressured with exams, social media and changing or complex relationships in the home. There seems to be an epidemic of mental health issues in children and young adults too. We all want to help our children and teenagers to thrive now and into the future. Mindfulness for kids and teenagers might be a great place to start, when it comes to helping our young people to better manage with stress. Healthy mental health habits are a great way to get your kids off to the best start in life. To make it more fun for younger children they can pretend to be a superhero with special superpower senses of smell, taste or hearing. 2) Just breathe – Get them to place their hands on their tummy and just focus on their hands moving up and down with each breath. In young children you can place a soft toy on their tummy and get the to focus on the toy moving up and down. 3) Body Scan mediation before bed – A lovely way of introducing mindfulness for kids and teenagers is to integrate it into a bedtime / wind down routine. Get them to lie down with their eyes closed and tell them “think about your toes and feet – focus on what they feel like” then scan up the body to legs, knees, lower back, chest, shoulders, neck and head etc. They may even be asleep before they get all the way through it. A great way to help kids and teenagers who struggle to turn off at bedtime and sleep (works for adults too). 4) Practice gratitude – This is a great habit to get into each night. After your evening meal or as part of a bedtime routine, the whole family takes turns to think about/talk about what they are grateful for that day or in their life. As with most things with children, setting a good example with your own behaviour is a good place to start. Try to incorporate these things into activities you can all do together. Mindfulness for kids and teenagers can then start to benefit the whole family. There are loads of useful apps, flash card resource with mini exercises on them and regular blogs and sites you can sign up to, to guide you through mindfulness for kids and teenagers. It’s worth remembering if your child or teenager seems worried or anxious about life at the moment it might manifest physically too. Tension in the neck and shoulders, headaches even stomach aches can all be a sign that the mental stress is having a physical affect too. As part of your practice of mindfulness for kids and teenagers, get them to acknowledge and address those physical tension in their body. As Osteopaths we can help to relive the tensions and discomfort, that may be making it even more difficult for them to sleep and relax. This can help to break to cycle of stress –tension – stress –tension and support the practice of mindfulness for kids and teenagers. Call us on 0161 4781877 or book on line for more information or advice.